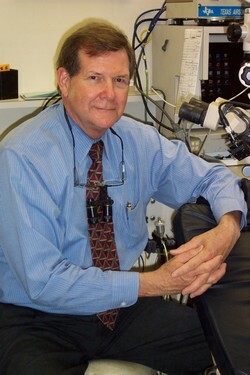 Dr. Rainey received his dental degree from the University of Texas, Houston. He is the director of the Texas Institute for Advanced Dental Studies and is a past president of the Corpus Christi chapter of the Academy of General Dentistry. He is an adjunct associate professor at the University of Texas Health Science Center School of Dentistry at San Antonio. As an innovator of modern Minimally Invsive and Air Abrasive dentistry, he has contributed to developing a scientific approach to operative dentistry. His innovations in microdentistry have resulted in six patents granted to date. In addition to lecturing world wide ,he has authored numerous publications, focusing on microdentistry and previously undocumented tooth structures. A descendant of the original pioneering families who settled Texas, Dr. Rainey maintains a private practice in Refugio, Texas.